miiCard is urging UK shoppers to stay safe this Christmas and prevent online fraud by protecting their online identity. As more and more of us avoid the Christmas crowds by shopping online, so cyber crime levels continue to spike around the season with one in every hundred people affected by fraud and almost £70 million of ecommerce fraud predicted for Christmas 2011 (Source: IMRG). Christmas is a key target for fraudsters, and shoppers are more than three times likely to experience fraud during the holiday period than any other time of year. James Varga, miiCard’s CEO explains: “Fraud is changing – as we start to reduce security and transactional fraud we are now seeing huge increases in fraud relating to identity theft, impersonation and false documentation. And almost 72% of fraud this Christmas will relate to identity related issues (Source: CIFAS). Digital passport service miiCard believe it is imperative that UK consumers are aware of the risks and take measures to protect themselves. 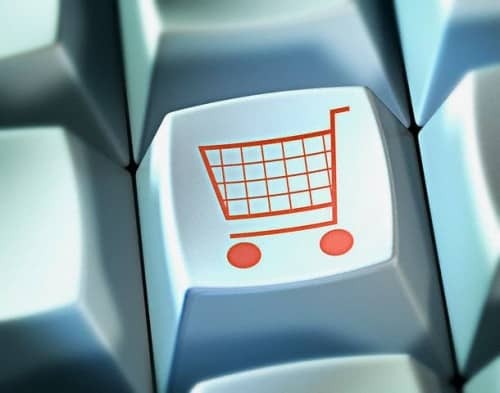 The company has published a guide identifying the ten tips for safe and secure online shopping which it will publish across the internet and tweet daily in the run up to Christmas. These tips aim to educate the consumer, and will include advice such as: only buy from well known websites, read customer reviews and be careful with the information you share. Today in the UK there is no way of proving online ‘I am who I say I am’ in real time. And it is that loophole that fraudsters are leveraging to wage war on the internet shopper: the impact of e-commerce fraud on the UK economy is expected to rise by 18% from £165 million in 2011 to £195 million in 2015 (Source: PayPoint.net). Varga continues: “We’re encouraging consumers to sign up for a miiCard digital passport and join our fast growing user group who want to create a system of trust online.” Varga wants to encourage banks and retailers to adopt an independent proof of identity that meets anti-money laundering standards. Currently there is no way to prove your identity online to the same level of authority of a passport or driver’s licence. miiCard is a digital passport (or virtual driver’s licence) that allows consumers to prove they are who they say they are online in real time, validated to anti-money laundering standards. Owned and managed by the individual, miiCard allows the consumer to track, monitor and so take control of their online identity. It creates trust between parties when conducting business, fights fraud and protects consumers without the need for physical identity validation. Use credible sites like Amazon and eBay that have seller feedback, product reviews and buyer protection procedures in place. Take the time to read buyer feedback and reviews. Make sure the product is exactly what you want and the seller has a reliable and trusted selling history. If you are looking for that extra special something on a smaller, lesser known website, a quick Internet background search should provide you with peace of mind. Check for blog, forum and social media posts by and about the business. Ask your friends if they’ve bought from them before and what their experience was like. If an offer looks too good to be true it probably is. Research the items you’re looking to buy on a few different sites to get an idea of the true value of the goods. If you have any doubts about a suspicious seller or fake website, contact them to try and verify their details. Poor spelling and grammar in emails from a business can be a warning sign the business is not legitimate. Add the words “fraud” and “scam” to the business or product. If someone has been scammed it’s very likely the victims will be making lots of noise in forums and posts online. Read and understand privacy and returns policies. Print a copy of your order and check your bank statement carefully against anything you buy online. Alert your financial provider immediately if you notice anything suspicious. Only buy from secure sites that use security encryption in the URL “https://”. Log out accounts after completing a purchase and guard your passwords closely. Be careful with the information you share online. During the buying process all that should be required is: name, email, address, telephone number, payment information and shipping arrangements. Use a landline telephone number and a business address for delivery if possible. Never give out passport, driving licence or social security numbers to anyone online. Using your regular bank account can make you vulnerable so pay by credit card for an added layer of fraud protection.